Order our fresh Gourmet Grocery Online Fruit Club. 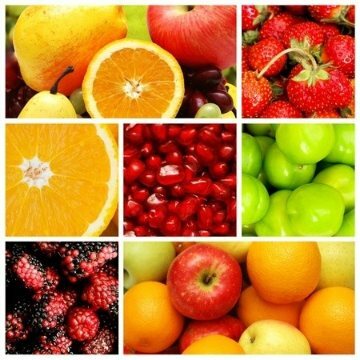 We invite you to join the club with other fruit lovers to enjoy a lavish array of fresh fruit direct from the grower. Experience incredible tastes of Exotic Mango's to the softness of Pearl White Peaches just bursting with juice. With each Monthly Fruit Club shipment you'll receive five pounds of two (2) different selections of the finest hand picked fruit direct from the grower. Our fruit is harvested to perfection and packed with care in a decorated box. We'll deliver them grower fresh to your home or office. You will receive 2 different selections of fresh fruit each month. Approximately 5 pounds of total weight with 7 to 13 total pieces depending on the feature. You will also receive our informative monthly club newsletter "Fruit Expeditions". Shipments arrive by the 3rd or 4th week of each month. Examples are: Comice Pears & Honey Tangerines or Bing Cherries & Taylor' Gold Pears or Royal Pineapple & Tropical Kiwi. All fruit is shipped 2nd Day Air to preserve freshness. No, all the fruit is pre-selected fresh for you. You can re-order a list of past selections at discounted prices. Upon arrival, allow pears to ripen at room temperature. Pears ripen in about 4-6 days. Pears are ripe when yielding to gentle pressure and emit a pear fragrance. Once ripe, pears can be stored in the refrigerator for an extra 2-4 days. Rinse pears before eating. Peaches, Nectarines & Plums: Upon arrival, allow fruit to ripen at room temperature. Fruit is ripe in about 2-4 days when yielding to gentle pressure and fragrant. Once ripe, fruit can be stored in the refrigerator for an extra 2-4 days. Rinse fruit before eating. Pineapples should be ripened at room temperature. Ripening times will vary but in general, a pineapple is ripe when it is yellow in appearance and the bottom of the core is soft to pressure. Once ripe, a pineapple can be stored in the refrigerator for 2-4 days. Rinse and cut before eating. Mangos should be ripened at room temperature. Once ripe, mangos should be consumed. Rinse and cut mango in half and remove pit -(be careful- mangoes are slippery). Once pit is removed, score the mango and turn the mango half inside out to cut away the scored mango chunks. Papayas should be ripened at room temperature. Once ripe, they should be consumed. Rinse and scoop out seed and either eat a papaya half or peel and slice. Kiwi should be ripened at room temperature. Once ripe, kiwi can be stored in the refrigerator for 2-4 days. Kiwis are ripe when yielding to gentle pressure. Cut kiwi in half and scoop out fruit or peel kiwi and slice. Oranges are ready to eat and do not need further ripening. Upon arrival, place oranges in the refrigerator. Oranges can be refrigerated for 5-7 days. Rinse and peel before eating. Grapefruit are ready to eat and do not need further ripening. Upon arrival, place grapefruit in the refrigerator to store and eat within 5-7 days. Rinse and cut or peel before eating. Specialty citrus is ready to eat upon arrival or can be stored in the refrigerator for 5-7 days. Upon consumption, rinse and peel. Store apples in the refrigerator upon arrival. Apples should be consumed with in 7-10 days upon arrival. Rinse apples before eating. Apples can be eaten whole or peeled and sliced. Store Cherries in refrigerator upon arrival. Rinse cherries before eating. Cherries are very perishable and should be eaten within 1-3 days of arrival.